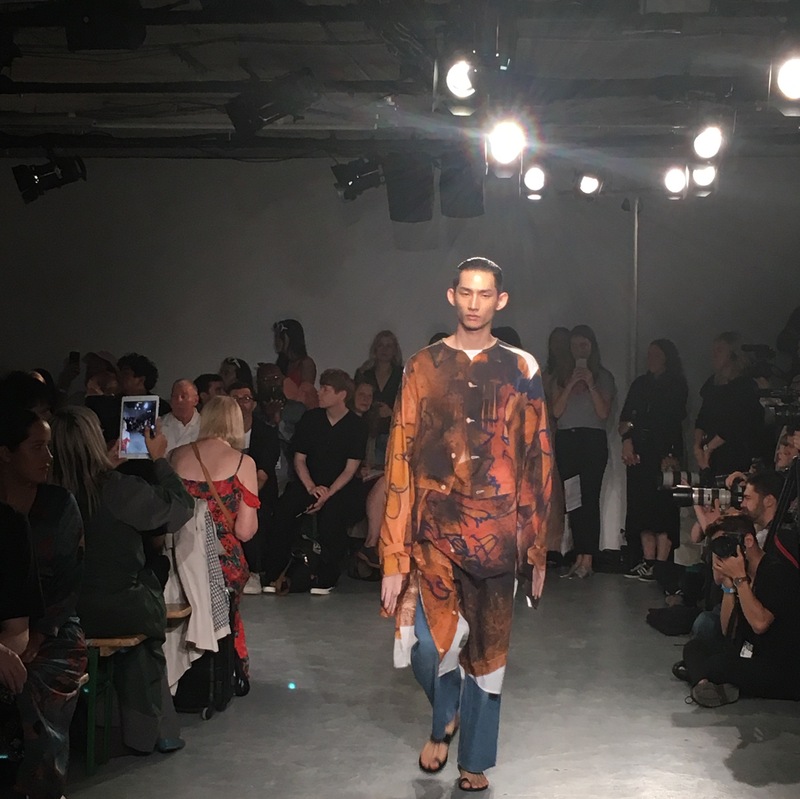 The SS18 Alex Mullins collection was the fashion equivalent of stepping into a warped universe. 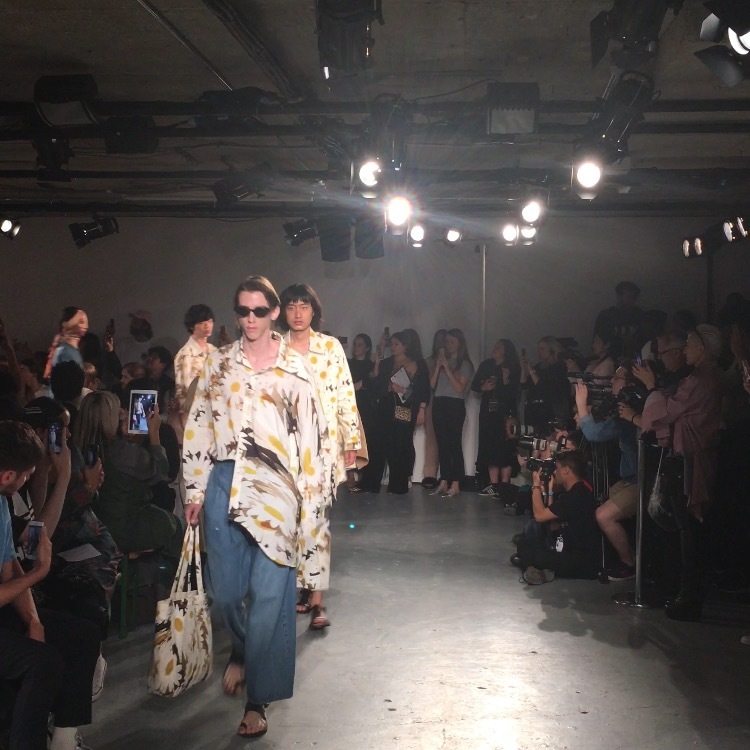 Taking his inspiration from 90s perfume adverts, it’s easy to see why floral prints and silky fabrics were chosen. That’s not, however, where the true genius of this collection lies. Looking at his garments, it’s amazing to see how many of the pieces have uncomfortable silhouettes that challenge the boundaries between art and fashion. Artistic license was taken with increasing vigour throughout the collection; the show culminated in spectacular avant-garde pieces that would have looked at home in any museum or gallery. 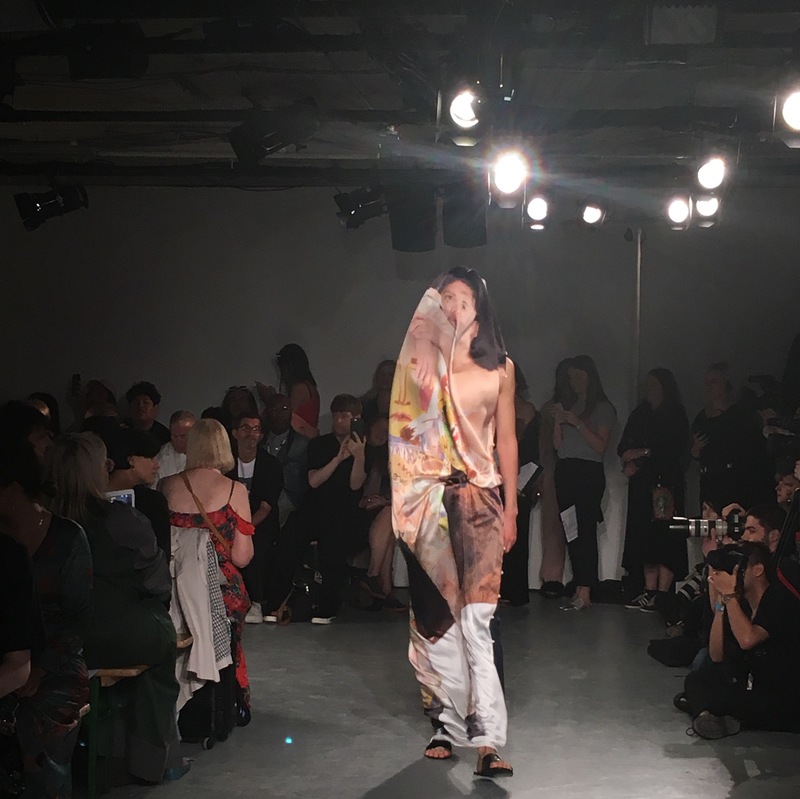 The final looks were composed of distorted images that were draped over the male form. To propel the idea of self-reflection, these images were actually photos of his precious collections, offering us a modern yet nostalgic interpretation of past memories. A standout fabric was the enlarged daisy print, of which my favourite application was the cheeky bumbag. Colour was injected into the collection in the form of bright magenta, canary yellow, and a seasonal orange. Denims have a vintage feel, and a recurring asymmetrical oversized sleeve was prevalent. 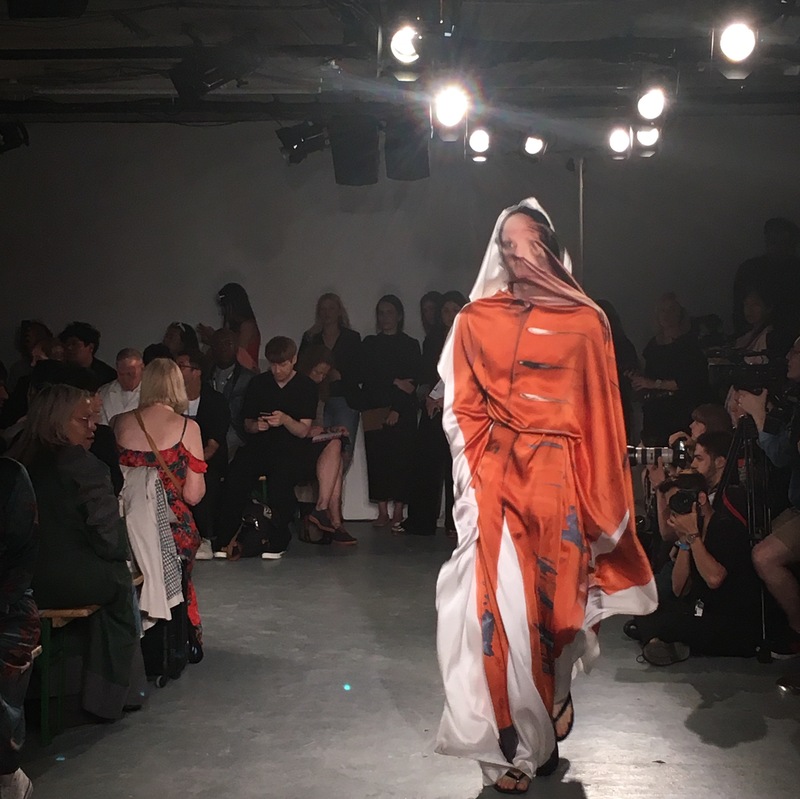 All in all, Alex Mullins has presented us with a creative ideology unlike any other, propelling wearable art into the forefront of this season’s runways.